Since 1995 beside the activities as board member also in charge as managing director leading the entities Moselstahlwerk GmbH, Hochwald Drahtwerk GmbH, Kaufmann & Lindges GmbH as well as various trading- and logistics companies. Strategic realignment of the Rass Group. Transfer of the production facilities of Kaufmann &Lindgens GmbH from Germany to Czech Republic incl. a complete set up of the entire production line. Close down of the production facilities for the tank and container construction and realization of a green field project for a new production for construction steel. Relocation of a freight forwarding company from Germany to Luxembourg. 1998 resigning of the Rass Group and acquisition of the hauling company SPERALUX S.A.
1998 bis 2006 managing partner of SPERALUX S.A. .
At the point of acquisition the haulage company was operating with 40 truck units exclusively in steel transportation. Within a couple of years the SPERALUX S.A. was developed to an important medium sized freight company with over 200 towing units, stock turnover, warehousing, international transport and haulage and logistic services for market leaders in various business activities. 2002 Acquisition of electric arc furnace ( EAF ) based steel and rolling mill MSW Moselstahlwerk GmbH. 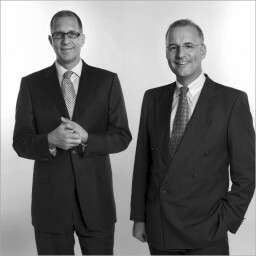 2002 bis 2008 Managing partners of the succession company TSW Trierer Stahlwerk GmbH, additionally from 2002 to 2006 Managing Partners of SPERALUX S.A. as stated above. 2002 a massive fire destroyed a major part of the Moselstahlwerk GmbH that eventually leaded in to insolvency. The insolvent company was acquired and within only 9 months the steel plant was rebuilt and the start up of the production took place. In the years 2003 to 2007, more than 100 million Euros were spent to up date and develop the technologies of the plant to improve and diversify the production portfolio. The objective to create one of the state of the art, most productive and environmental friendly steel and rolling mill was achieved in 2007. TSW Trierer Stahlwerk GmbH is now able to produce 600.000 tons annually and has employed more than 250 people. Nearly the same headcount was needed to produce 360.000 tons of steel prior the redesign of the plant. 2008 the brothers Rass sold their shares of the steel and rolling mill and retired as managing directors. In the future they will mainly work for their own enterprise STEEL AND LOGISTIC services s.à.r.l. in Luxembourg.